Robert Schumann was a composer steeped in literature. His compositions bear the dual imprint of both German musical and literary Romanticism. Literature was the family business, one might say, as his father, August Schumann, was both a publisher and a bookseller in Zwickau, Saxony, where the composer grew up. He began to write about the aesthetics of music when he was barely into his teens, at the same time as he was composing—an early indication of his future activity as a founding editor of Die Neue Zeitschrift für Musik, one of Germany’s most important music journals, still published today. So it was natural that when writing his first songs as a teenager he should try his hand at writing poetry, as well. In Sehnsucht (Longing), written in 1827 to his own song text, is a typical product of German Romanticism, with its heightened awareness of the natural world as an echo chamber of the poet’s inner thoughts and emotions. Many of the features that would become standard in Schumann’s song settings were already in place in his early songs, including the “framing” of the sung text within a musically significant opening piano introduction and closing piano ‘postlude’. Another early song, Gesanges Erwachen (Song’s awakening) of 1828 is a good example of how Schumann likes to wrap the voice in the attentive embrace of its keyboard companion. In this strophic song the piano also provides instrumental interludes between the verses, and even aspires to the status of a duet partner as it trades melodic phrases back and forth with the voice. After composing a good dozen songs in the late 1820s it became obvious to Schumann that his real interest was the piano and he wrote for nothing else during the entire decade of the 1830s. The lyrical impulse of song, however, would remain a strong influence on him even during this time, evident in his use of music from his early songs in the piano sonatas Opp. 11 and 22 and in his quotation from Beethoven’s song cycle An die Ferne Geliebte in his Fantasie Op. 17 for piano. The year 1840 marked Schumann’s so-called “Year of Song” (Liederjahr), in which he produced over 125 songs, more than half his total output. The songs from his Liederkreis Op. 39 are based on the nature poems of Joseph von Eichendorff. Waldesgespräch (Forest dialogue) depicts a dramatic meeting between a hunter and the seductive forest spirit Lorelei, who bewitches men and brings them to an early death. The nonchalant postlude of this song, a reprise of the pleasant hunting music of the opening, has the childlike innocence of a story from Grimm’s Fairy Tales. Mondnacht (Moonlit night) by contrast is pure scene painting, untroubled by any thoughts of danger or magical mischief. It depicts the earth and sky as joining together for a lover’s kiss, with the high and low registers of the keyboard as stand-ins for the natural elements. A different kind of scene painting is featured in Schöne Fremde (A beautiful foreign land), with its rapturous depiction in the piano accompaniment of both the wind rustling in the treetops and the poet’s blood coursing through his veins. The last song in this set, Frühlingsnacht (Spring night), features an even more feverish piano accompaniment to convey the unanimous opinion of all forest creatures large and small that the poet’s love life is on a definite upswing. The accompaniment in this song could easily be a stand-alone piano piece. Dein Angesicht (Your face) explores darker territory, but in a typically Romantic way, combining the innocence of a dream with the fear of losing a loved one. The placid pulse of a gently swaying accompaniment leaves the drama of this text to be conveyed by unexpected changes in harmony. The songs from the collection entitled Frauenliebe und Leben (A woman’s love and life) Op. 42 all deal with a woman’s emotional life. Concern has been expressed in modern critical circles that “the woman in these poems is really too much of a doormat” to her hero husband, but the tone may well have been an accurate description of the relationship Schumann had with his wife Clara, who was nine years his junior. Seit ich ihn gesehen (Since first seeing him) describes the ‘blindness’ of a woman in love. The halting pace and low register of the piano accompaniment imitates the tentative steps of a person lost in the darkness. Helft mir ihr Schwestern (Help me, O sisters) describes the excitement of a woman being dressed on her wedding day, with hints of a wedding march throughout that are made explicit in the piano postlude. Nun hast du mir (Now you have caused me my first pain) is an utter contrast in mood, a dramatic monologue of loss and despair as a woman faces burying her dead husband. The tragic chords of the piano provide scant support for the voice, left as isolated and alone in the musical texture as the woman pictured in text. The songs of Schumann’s Op. 35 take us back to the world of nature. Erstes Grün (First green) is a delicate evocation of the coming of spring, unusual in its play of major and minor tonalities. Sehnsucht nach der Waldgegend (Woodland longing) is an evocation of nostalgia for the woods, birds & streams of the poet’s homeland, richly conveyed in a rolling accompaniment in the low register that won this song the admiration of Brahms. Even deeper and richer in low piano tone is Stille Tränen (Silent tears) with its sustained melody and throbbing chordal accompaniment. The voice stands in bold relief against the piano, however, in Der Himmel hat eine Träne geweint (Heaven shed a tear) that sees a tear from heaven made into a pearl as symbolic of the love that a lover guards preciously inside. The tone of this song is noble, but with more than a touch of sentimentality. Piano and voice return to a duet texture in O ihr Herren (O you lords) with another accompaniment that could be a piano piece on its own. Herbstlied (Autumn song) expresses the contrasting emotions brought on by the change of seasons. It has a two-part structure: the passing of summer is regretted solemnly in the minor mode with a Bachian contrapuntal accompaniment until the mood brightens with major-mode thoughts of how winter will preserve everything till spring. The first half of this recital ends with the great Biblical narrative of Belsatzar (Belshazzar), the Babylonian ruler whose jubilant feasting in celebration of his conquest of Jerusalem is interrupted by a the appearance of a mysterious message from the Almighty written on the wall. The score follows the narrated events of the tale with picturesque evocations of the flickering torches, the martial menace of the warriors in attendance, the sounds of riotous banqueting and the shock and awe of the story’s dramatic conclusion. The duet Liebesgram (Love’s sorrows) is a serious song, in keeping with its subject: death. The contrast between life and death is played out in the contrast between the major and minor mode, with the piano providing both serious contrapuntal and plangent harmonic comment on the text. Exquisite delicacy characterizes Schneeglöcklein (Snow drop) which plays on the double sense of the name for the flower with the bell-shaped head that presages the coming of spring, here pictured as both a source of melting “snow drops” and the light tintinnabulation of a tinkling bell, charmingly portrayed in the high register of the piano. Equally cute is the naïve childlike enthusiasm for the arrival of spring in Er ist’s (Spring is here) with its twinkling accompaniment in the high register and imitation of the harp with—what else?–arpeggios. Harplike sounds abound as well in the Goethe poems of Schumann’s Harfenspielerlieder. The tone of Wer sich der Einsamket ergibt (He who gives himself up to solitude) is serious, with a tortured melody and very little phrase repetition ranging widely over a harmonically restless accompaniment. More sober still is An die Türen will ich schleichen (I shall steal from door to door), which describes with great pathos the slow awkward gate of a wandering beggar. Scholars are still puzzled by the text of Liebeslied (Love song), which may have been a secret coded message from Schumann to his wife Clara. This song is infinitely romantic, with the piano rapturously enveloping the voice’s voluptuous melody in a luxury of sympathetic swells of harmony and echoing its sighs. A more turbulent relationship is described in Es stürmet am Abendhimmel (A storm rages in the evening sky) that features a meteorological love affair between a cloud and the sun, with the piano vividly portraying the black cloud’s dark billowing presence. An eerie stillness returns in Nachtlied (Night song) with a virtually impassive melody drifting over a solemn succession of chords in the piano. Aufträge (Messages) is another nature song, this time on the theme of “Who will take this message to my love?” Will it be a wave, a bird, or the moon? The piano simply froths with excitement trying to find out. Die Sennin (The cowgirl) features a gently yodelling melody that with its memorable leaps conveys the expansive feeling of being outdoors. The free and easy feel of this song’s opening is tempered by the bittersweet thought that “all things pass.” Sadness also tinges Meine Rose (My rose), a song which despite its comfortable ‘slow waltz’ pulse manages to rise to an almost operatic level of passion. Requiem is a reverent but passionate tribute to the life of German poet Nikolaus Lenau (1802-1850) with a translated text attributed to the 12th-century abbess Héloïse about her lover, the philosopher-poet Peter Abelard. Schumann’s songs take a darker turn near the end of his creative life. In Abendlied (Evening song) we hear both the hope for a better future in heaven and disturbing echoes of life on earth, especially in the piano’s pulsing triplet chords in 6/4 while the singer sings in 4/4. Even more unsettling is the storyline in Warnung (Warning): a bird is told to be silent lest by attracting the attention of the owl it become its prey, an obvious hint at the approach of death. Even more eerie is the way in which the piano and singer seem to inhabit separate worlds, the piano in the underworld, the voice a lonely presence still back on earth. With Abschied von der Welt (Farewell to the world) we arrive at the last of Schumann’s compositions. The piano plays the role of the orchestra in a dramatic operatic recitative, punctuating the singer’s plangent pleas and its own heartbreaking commentary on the existential questions: What use is the time I have left? Who will remember me? More heartrending still is the very moving Gebet (Prayer), with its implacably stern piano chords and the singer’s increasingly urge pleas for help. It was shortly after completing this song that musical Romanticism’s most sensitive poet, Robert Schumann, attempted to drown himself in the Rhine and was confined to an asylum, where he died three years later. Thank you for taking time out of your busy schedule. How did the New Year start for you? The New Year started with a Messiah concert in Zurich and then 5 days skiing with the kids and friends in Vorarlberg. That‘s a very good start! In my life the influences are too many and too complex to mention. However, in music the dominant influences would be (conductor) Nikolaus Harnoncourt and (Dutch bass-baritone) Robert Holl. They are the ones I consider to be masters. You are well known for your performances of music by Schubert and Schumann. What does this music mean to you as an artist? In Schubert and Schumann I find the union of poetry and music very strongly to be a language I understand and speak. Your Vancouver program is built around the poetry of Heinrich Heine, as set to music by Schubert and Schumann. For you, are music and poetry equal partners, or do you consider poetry first when putting together a program, as seems to be the case for your Vancouver recital? When I put programs together, most of the time I read the poetry first. I do not know exactly what I am going to do in my recitals. The interesting thing for me is to be open and sensitive enough to take the inspiration of the moment, and tell a story or a feeling as if it was for the first time. So it sometimes ends up being pretty much freestyle in proportion to the discipline. For you, what is the role of the piano and the pianist in German art song? Does working with different pianists influence your interpretations and performances? I see the singer and accompanist as equal partners. I even consider myself the accompanist to the pianist. Each and every pianist brings their own individual influence to the recital. Also, the same pianist will bring new or different ideas on different days. It is like playing ping pong – one serves and, if lucky, someone plays back! What can you tell us about your collaboration with Roger Vignoles, your pianist for the Vancouver recital? Roger is one of the greatest accompanists in the world, and he’s also my friend. He is a fantastic pianist and musician with enormous experience and flexibility, and he is always open for something new. It doesn‘t get much better really. Having the freedom to express myself to an audience, and to be myself in the context of a recital performance. I consider it to be a great privilege. I always discover some place I have not been before. One tries! I have a smart wife and a smart manager, that helps a lot. Ask me that in 2013… it could be vancouver! Thank you for participating in our interview. We are very much looking forward to hearing you in Vancouver on February 19, 2012. 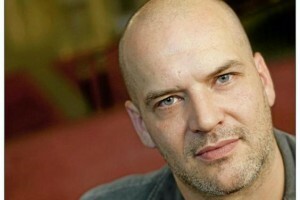 Florian Boesch will perform with pianist Roger Vignoles at The Chan Centre for the Performing Arts on Sunday, February 19 at 3pm. A recital of Lieder set exclusively to poems of Heinrich Heine and composed solely by Schubert and Schumann is particularly apt inasmuch as Heine was born the same year as Schubert (1797) and died the same year as Schumann (1856). He was not only one of Germany’s leading romantic authors, he also wrote about travel, German thought and French politics (he became a staunch liberal, espoused the cause of the French Revolution and spent the last 25 years of his life in Paris). Heine is best remembered for his exquisite lyrics and ballads. His Buch der Lieder (1827) became one of the most popular books of German verse ever published. Nietzsche called Heine “the highest conception of the lyric poet,” and, with no lack of modesty, claimed that “it will one day be said that Heine and I have been by far the first artists of the German language.” In addition to Schubert and Schumann, Mendelssohn, (both Felix and his sister Fanny), Brahms, Wolf, Strauss, Tchaikovsky, Wagner and Orff, among many others, have set his verse to song. Pietro Mascagni, composer of Cavalleria rusticana, made an opera out of Heine’s William Ratcliff. Just as Goethe was Schubert’s poet of choice, it was Heine to whom Schumann turned most often for verses to set. Both composers were masters at capturing the psychological atmosphere of each poem, and in both, the piano writing is of utmost importance in defining the mood, which is often extended in the postludes. Schumann wrote his first songs the year before Schubert died. Schumann was seventeen at the time, and was already deeply under the spell of the older composer. But he wrote no more works in this genre until 1840, his annus mirabilus of song, during which he wrote more than half of his total output of Lieder (nearly 140 out of more than 250), including most of the best as well. If Op. 24 is not strictly speaking a cycle in the sense of an identifiable course of events or a continuous story, there is nevertheless a psychological unity of theme and atmosphere in that all the songs are related to love and nature, and the moods expressed therein show the sequence of thoughts toward a final, exuberant flowering of love’s triumph. Schumann dedicated his first Liederkreis to the famous mezzo Pauline Viardot. Presumably Schumann was inspired to write the cycle’s first song, “Morgens steh’ ich auf und frage” (Each morning I awake and ask …”) by a prolonged absence from Clara. Over the piano’s “walking” accompaniment, the poet sings with scarcely concealed rapture of the joy of seeing his beloved again. “Es treibt mich hin” (I’m driven this way and that) is another song about separation. Here, the lovers are due to meet in just a few hours, but the pain of waiting is almost unendurable. Frequent, impetuous changes of tempo and dynamics, sometimes in conjunction with unexpected pauses, convey the mental strain on the poet. “Ich wandelte unter den Bäumen” (I roamed under the trees) is steeped in melancholy and nostalgia. It is framed by a prelude and postlude that perfectly capture the gentle mood of a mid-day reverie. “Lieb’ Liebchen, leg’s Händchen” (Put your hand on my heart, darling) is surely one of Schumann’s most fascinating. In less than a minute, the composer captures the sinister picture of a carpenter fashioning a coffin for the lovesick poet. The piano part consists only of carpenter’s hammer, tapping steadily on the offbeats with the exception of two startling moments when it “jumps the gun” to articulate words the singer dreads to utter. “Schöne Wiege meiner Leiden” (Cradle of my sorrows) is the most extended song of the cycle save the last. “Lebe wohl” (Farewell), that favorite cry of the Romantic poets, is heard eight times in the course of the song. “Warte, warte, wilder Schiffmann” (Wait, wait, wild ferryman) makes its effect less through the vocal line, vigorous though it is, than through the piano writing, which consists mostly of rising scale fragments that dovetail, overlap, and interweave in an almost continuous counterpoint. “Berg’ und Burgen, schaun herunter” (Mountains and castles look down) is another boat song, this one as tender and gentle as the preceding was spirited. The quiet undulation of the boat on sunlit waves is naturally reflected in the piano part, while the singer delivers four verses which to Schumann evoke only happiness and contentment, despite the evil lurking in Heine’s words. The closing song, “Mit Myrten und Rosen” (With myrtle and roses), is in a sense also the prologue to the cycle that immediately followed the Liederkreis, Myrthen (Op. 25), which Schumann had beautifully bound and gilded as a wedding present for his bride (they were married in September). Schumann gives the performance direction innig (heartfelt, sincere and intimate) for the first time in a song, a fitting embellishment for this tribute to the woman he loved so deeply. Both Schumann and Heine were admirers of Napoleon. In “Die beiden Grenadiere,” one of Schumann’s most successful excursions into the ballad form, two of Napoleon’s troops are en route home from the disastrous Russian campaign. Bugle calls, drum rolls and weary tramping are all depicted. To the sounds of the Marseillaise, one of them imagines his heroic deeds in defense of Napoleon. But the ballad’s last moments indicate a far different scenario – death. “Mein Wagen rollet langsam” (My Carriage Rolls Slowly) consists of three connected parts: the poet dreaming of his beloved as his carriage rumbles peacefully over the uneven country road; the intrusion of three mysterious ghosts into the carriage (or is it just into the poet’s mind? ); and a piano postlude that occupies more than a third of the song’s length. “Abends am Strand” (Evening by the Sea) is short but gives the impression of a full-length ballad. Some girls are sitting by a little seaside shack, gazing out at sea. As the evening mists gather and lights come on in the lighthouse, their minds turn to ships and sailors, to storms and shipwrecks, to faraway lands and strange peoples. “Belsazar” (Belshazzar) constitutes an opus number by itself, a practice Schumann repeated in several other songs of greater-than-normal length. In this miniature drama, King Belshazzar of Babylon feasts in his splendid palace, gets drunk on wine, blasphemes against God, beholds the terrifying fiery writing on the wall, and is slain by his vassals – all events Schumann depicts with changes of texture, dynamics and vocal delivery. “Der arme Peter” (Poor Peter) is actually three songs in one. They tell of the pitiable Peter watching his beloved (Grete) wed another (Hans), with fatal consequences to the bereft. From the music alone, “Dein Angesicht” (Your face) would seem to be an expression of blissful love, but its text has an ominous ring: the face of the poet’s beloved is sweet but pale; only the lips are red, and those too will soon be white in death. “Die Lotosblume” (The Lotus Blossom), from the collection Myrthen, is set to Heine’s allegory of chaste love in the form of a flower floating on a lake. The placid surface of the lake is reflected in the unvarying triplets in the piano, but passion seethes just below the surface in the form of Schumann’s constantly changing harmonic palette. “Das Fischermädchen” (The Fishermaid) is a deceptively pleasant barcarolle in which the gentle lapping of water on the boat encourages the poet’s false trust in the fishermaid. “Am Meer” (By the Sea) too is a lover’s lament, full of irony and bitterness. In “Ihr Bild” (Her Picture), a portrait comes to life to remind the forlorn poet of what he has lost. “Die Stadt” (The Town) is another water picture, this one describing a weary journey across the lake, accomplished to thoughts of a lost love. The darkly brooding tragedy “Der Doppelgänger” (The Double), more a declamation than a song, is one of Schubert’s most powerful lyric utterances, rising to a heartrending fff as the poet recognizes his double in the moonlight, grieving outside the home of a long-lost beloved. And finally, “Der Atlas” plunges us again into a world of spiritual turmoil and suffering. Its portrayal of the weary Atlas bearing the world on his shoulder serves as a metaphor for the heaviness of a lover’s broken heart.